What is the Seal of Solomon? Shrouded in mystery and only hinted at in a handful of grimoires and ancient manuscripts, the Seal may be an artifact with supernatural power. For Ana Vangelena, a psychic that has helped to solve numerous police and FBI cases, what begins as another investigation into a possible serial killer becomes something much more sinister and far reaching. From the Smoky Mountains to the Savannah swamps and eventually the Middle East, Ana and her team must quickly uncover the truth behind the Seal and the reason behind why some have wished to posses it for thousands of years. 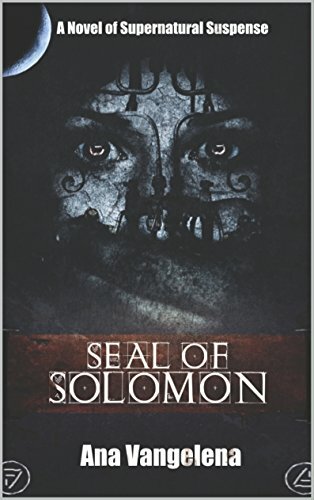 A taut page-turner with an explosive twist ending, Seal of Solomon is an exciting supernatural and suspense thriller filled with demons, creatures, action set pieces, an unforgettable ensemble of characters, and an artifact that is said to have inspired Tolkien when writing his masterpiece trilogy.